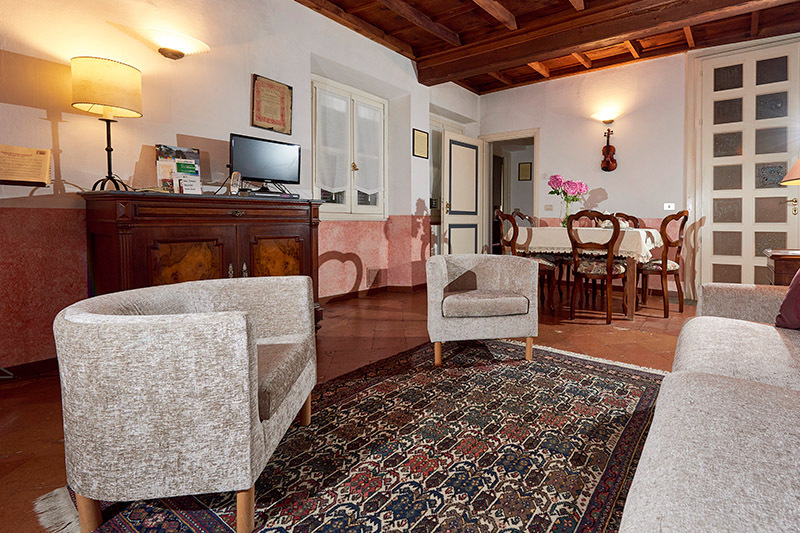 The Puccini apartment is a 3 room flat of about 90 square metres. 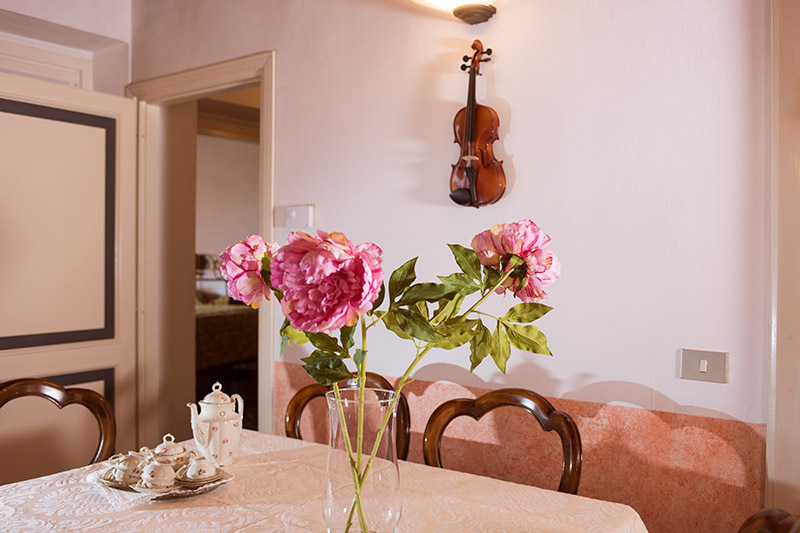 It is located on the second floor of the building and all the windows overlook the garden. 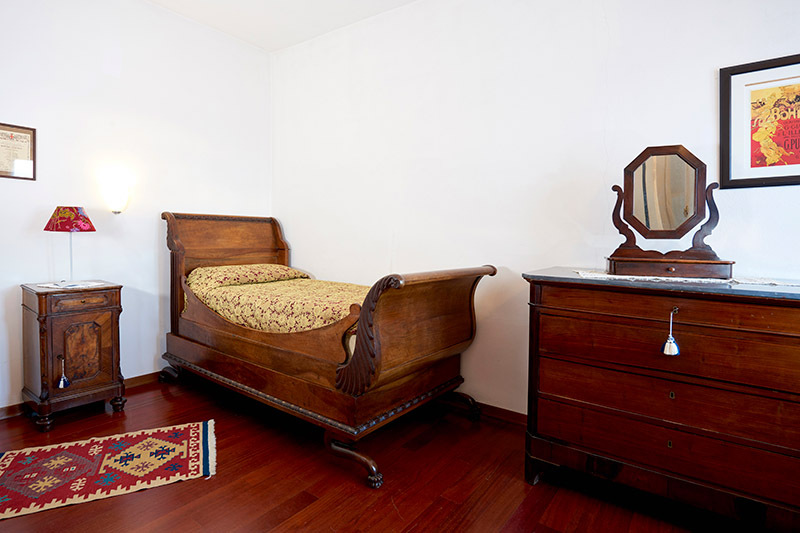 The antique furniture is original of the family heritage. 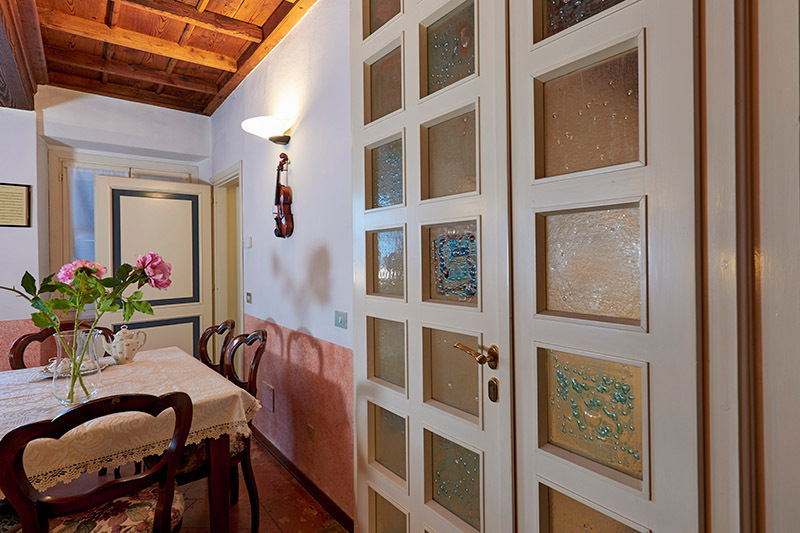 The apartment consists of 2 bedrooms , 1 bathroom and a living room with kitchenette. Coffered ceilings and terracotta floors are original of the period of construction. 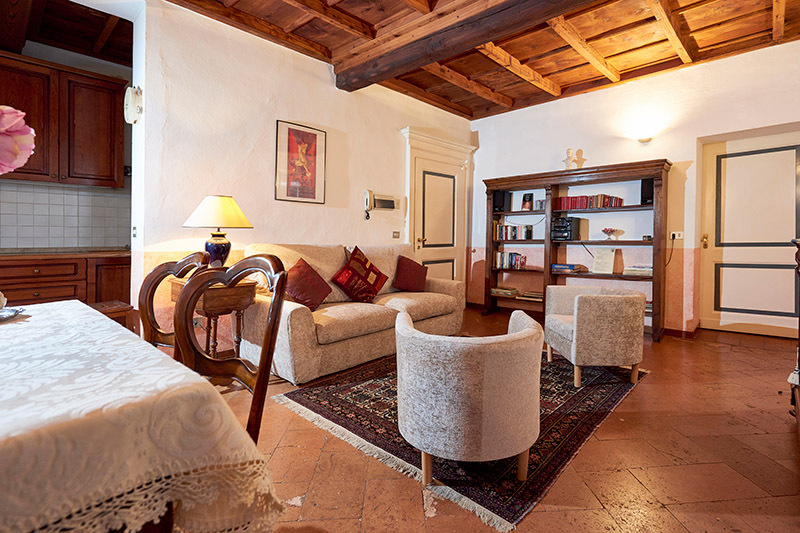 The living room has a relax area with sofa and armchairs, central table for six people. The sofa is a double sofa bed that becomes a comfortable full size double bed. 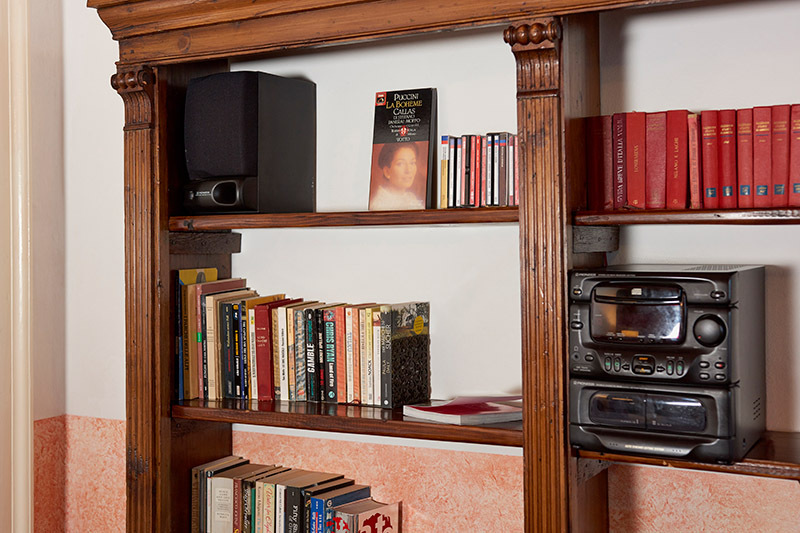 Stereo system with Giacomo Puccini CDs, a flat screen television,DVD in different languages, library with books in different languages are at disposal. 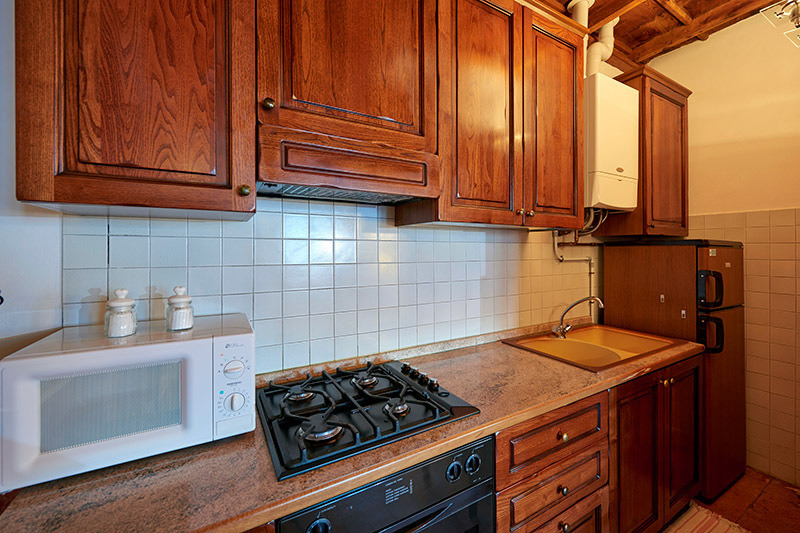 The kitchen is well-equipped: dishes, cookware, cutlery as well as toaster, kettle, coffee maker, microwave, iron and board. 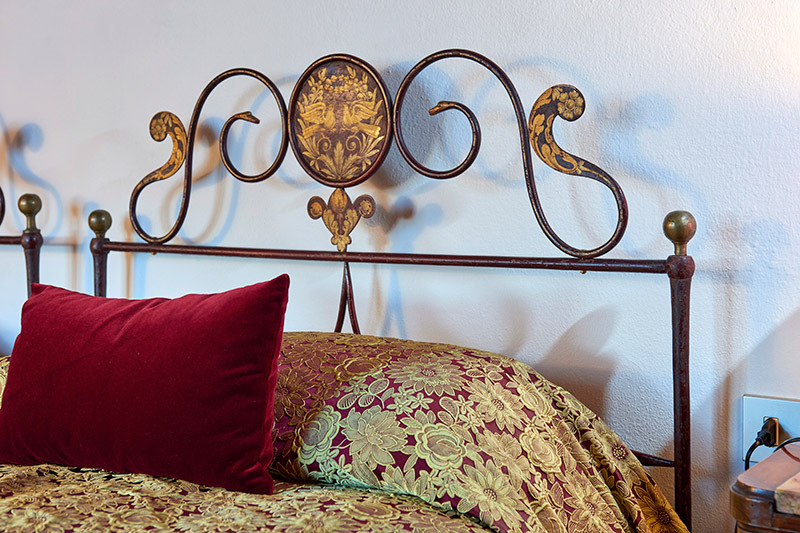 The first sleeping room , with 2 ancient single beds in wrought iron , has mountain view. Armchair and wardrobe complete the furnishing. 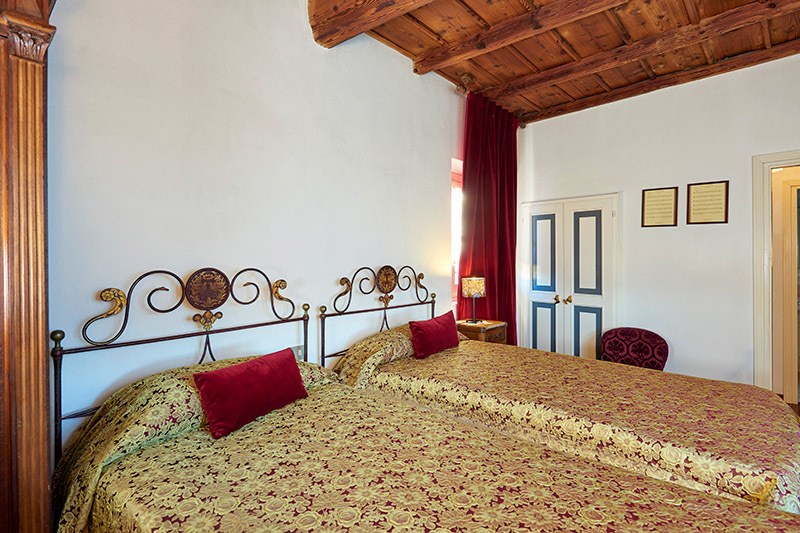 The second sleeping room is a large bedroom with 1 single antique Impero style bed. 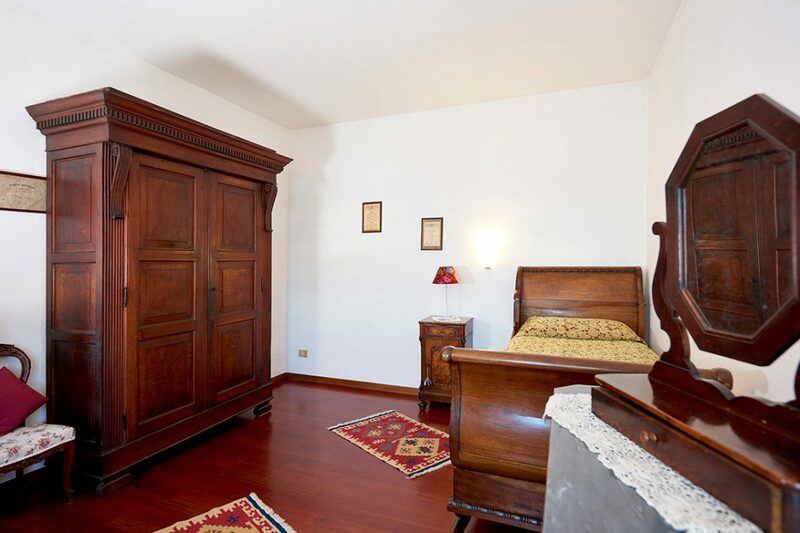 In this room an extra single folding bed can be accommodated. Armchair and wardrobe complete the furnishing. 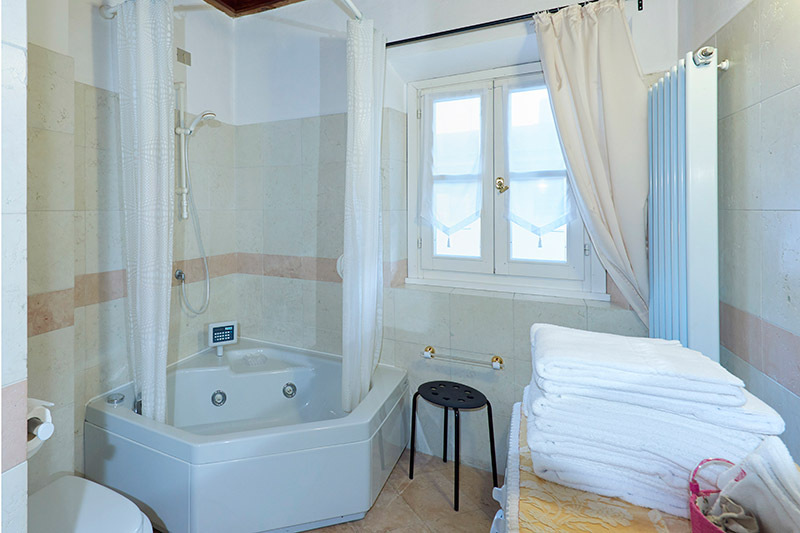 The marble bathroom has bath tub, hydromassage system , shower and washing machine. Please note that Full Payment of the stay and security deposit is due in cash on arrival. 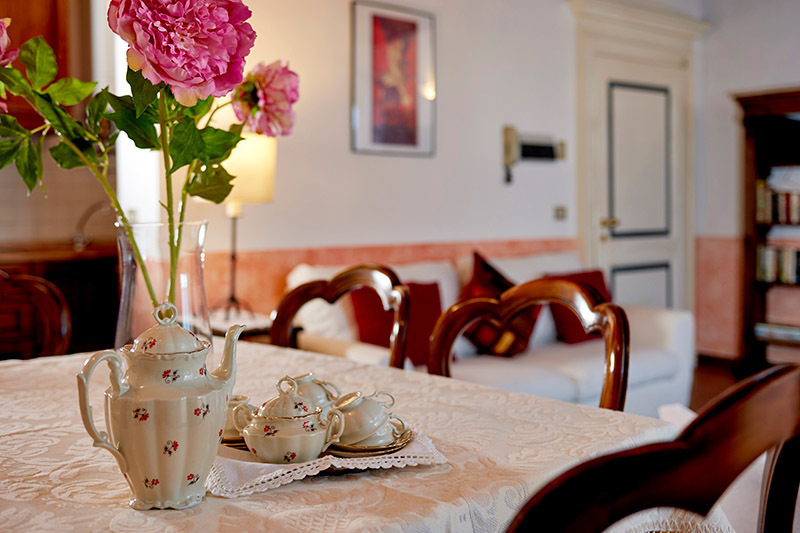 70% of the rental fee – payment on arrival. 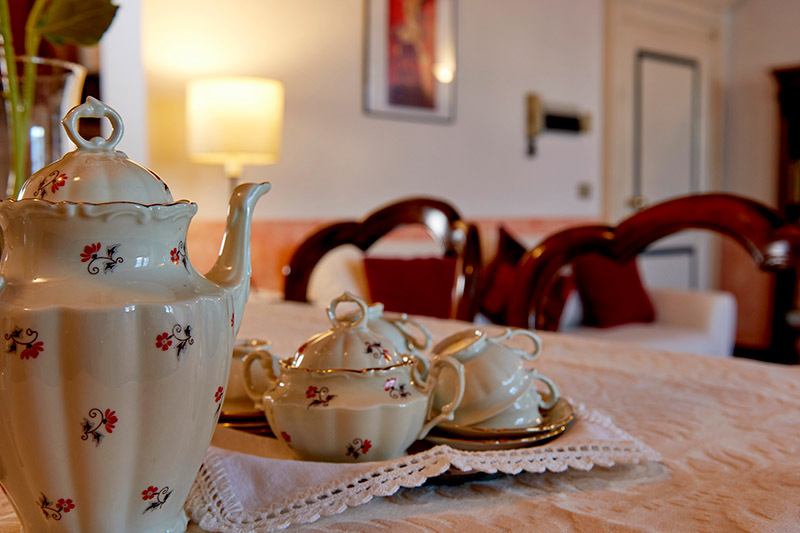 Cancellation with full refund of the advance payment : 7 days before arrival date. Cancellation with 50% refund of the advance payment : within 7 days . No show has NO refund conditions. FOR ANY PROBLEMS CONCERNING CHECK-IN OR CHECK-OUT TIME, PLEASE CONTACT THE OWNER. 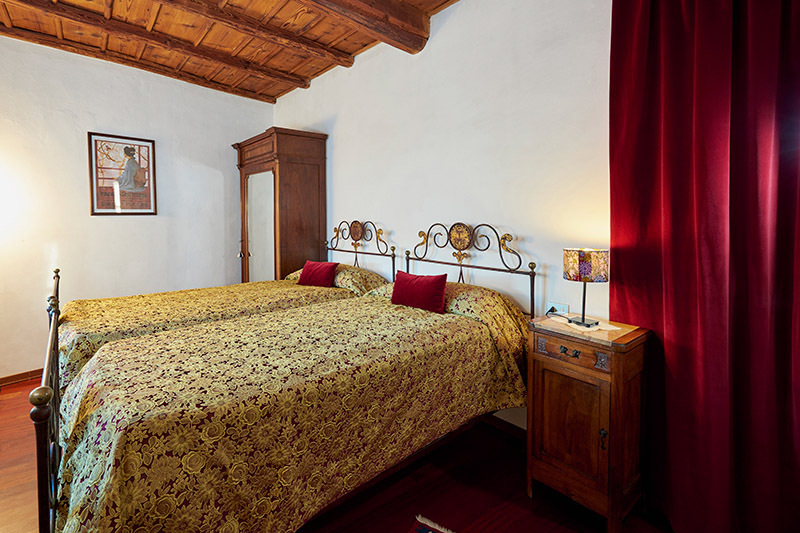 Antica Casa Balsari is a very quiet and comfortable accommodation in the town main square, built around 1695. 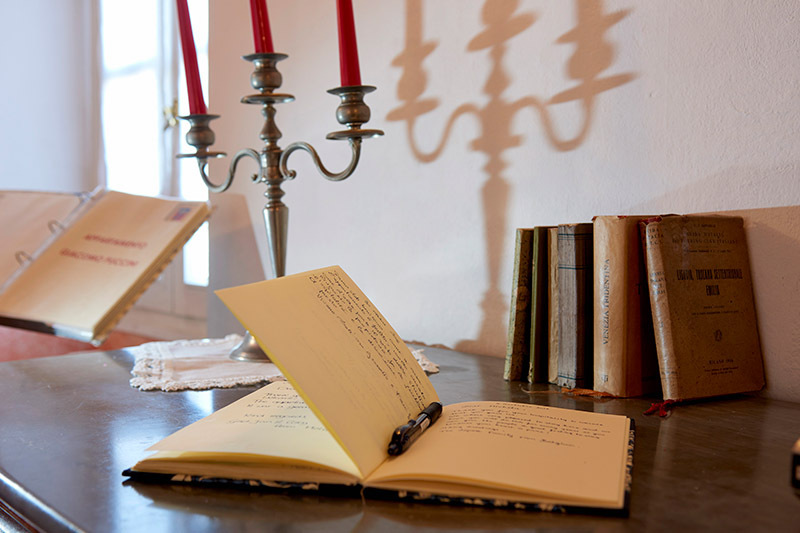 The house benefits from all modern amenities , yet retains all the charm and character of its important past. 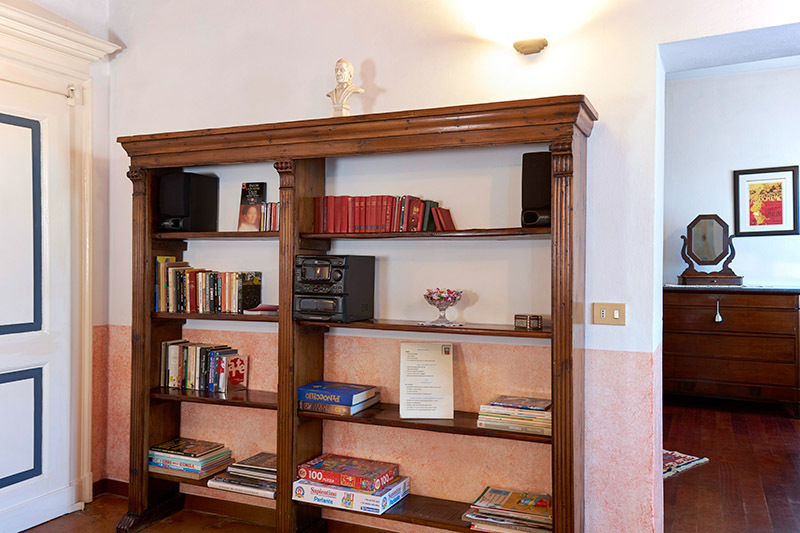 The side of the Antica Casa Balsari dedicated to holidays homes consists of 7 apartments located on 3 levels, easily accessed by an original external staircase (no lift available). 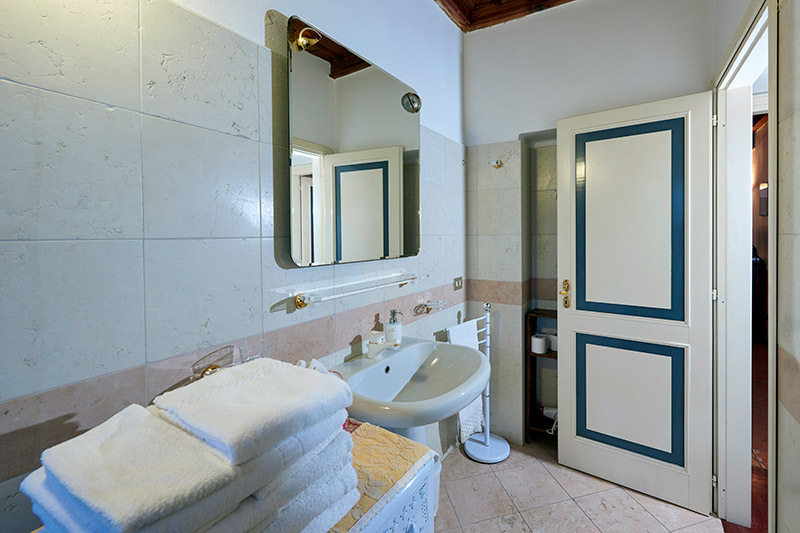 © Copyright 2017 | web by Enrico Pietrobon | All Rights Reserved | Antica Casa Balsari P.I.